You can practically smell Provence with this pick. Pinterest released its new summer beauty report this week, and one of the hot button colors of the moment will certainly be spotted at weddings everywhere in the season ahead. According to the platform, lavender nail polish is trending way, way up, with Pins for this specific soft purple hue accounting for a whopping 874 percent spike year over year. Searches and saves for this muted color are continuing to increase according to Pinterest, and it’s no surprise after Pantone named Ultra Violet (a deeper shade of purple) the color of 2018. The popular pin is an Essie special, Nice is Nice, which is a whimsical light lavender color reminiscent of Southern France. Other colors similar to this hue include the brand’s Lilacism, a more satin-like color, as well as its pastel Daytime Dreamer. 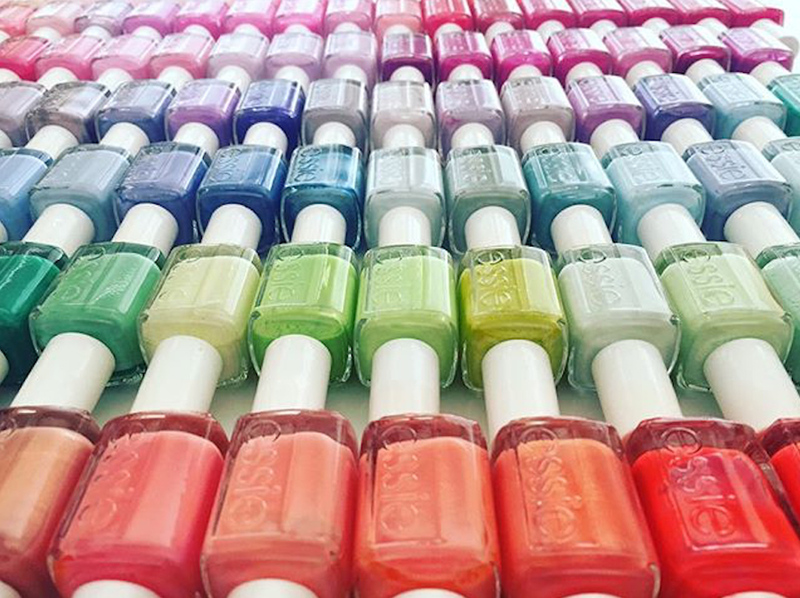 Nail polish is a popular category on Pinterest, enough for Essie and the social platform to launch a tool that helps users track down exact colors based on their Pins. In April, The Knot exclusively revealed Essie’s new “Pinterest & Polish” finder, a tool that hypothetically helps brides select the exact shade of blue featured in the hydrangea bushes surrounding their venue. Other big hair and beauty findings from Pinterest’s summer report show that spiral hair tie searches are up a whopping 2198 percent year over year, as well as lip balms with SPF up 304 percent. From its weddings trends report, which The Knot revealed this spring, Pinterest’s biggest findings included an uptick in searches for suspended flowers, natural backdrops, and camp weddings. Be the first to comment on "Pinterest Reveals Its Most Popular Nail Polish Color of the Moment (It’s Lavender!)"